TEAM Engineering, Inc. is a Professional Engineering and Surveying firm founded in 1997 in Loganville with a primary objective to provide quality engineering services at a fair price. 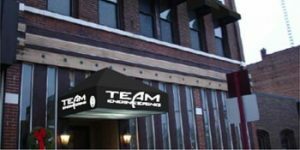 All those associated with TEAM Engineering Inc. take pride in the services our company provides. Our employees exemplify this corporate philosophy in the Transportation and Civil Engineering industry in their day-to-day work operations. 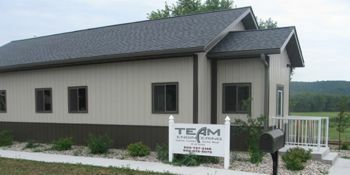 With a primary office based in Reedsburg and a satellite office in Wauzeka, TEAM Engineering employs an energetic group of professionals that actively pursue innovative and efficient engineering methods to deliver quality services to our clients. We have decades of experience in transportation, civil design, structural engineering, surveying and construction management providing services for the Wisconsin Department of Transportation, Counties, local units of government and the private sector throughout Wisconsin. These benefits come from our wealth of experience working with clients and our attention to detail. A number of local municipalities, county officials, Wisconsin DOT, and private developers rely on us to provide quality engineering services. Experienced, comprehensive professionals providing excellent services. Reliable performance and experience in all project phases. Proven project dollar management and success. Communication, professionalism and teamwork to reduce potential issues.